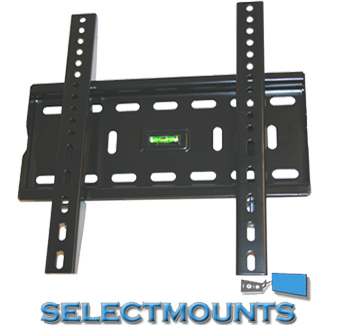 • Suitable for screens: 15 - 37"
Black LCD/ Plasma Universal Flat Fixed Wall Bracket 15" to 37"
BRAND NEW LCD/ Plasma Flat Fixed Wall mount bracket. IT IS EASY, QUICK 10 -15 Minute install! It comes supplied in Retail Packaging with Full fitting instructions & fixing. Suitable for up to 300mm x 300mm VESA screen fitting. This bracket is not to be confused with other cheap brackets sold elsewhere , this bracket is made with high quality steel and it will sell on the High Street for £ 100.00 +, you can check at Comet, Currys and most of the High Street Retailers.